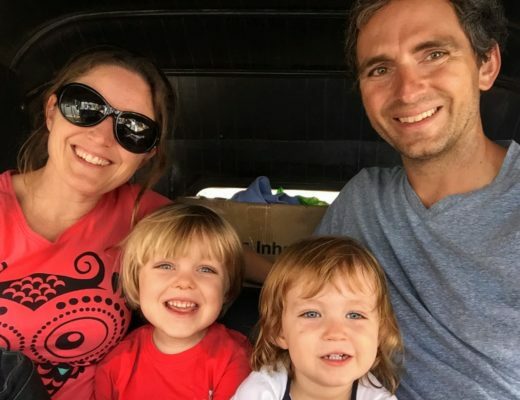 In early 2015, when our son was 3, and our daughter was 1, we sold our house along with most of our belongings, and moved our family from Alaska to India! Welcome! 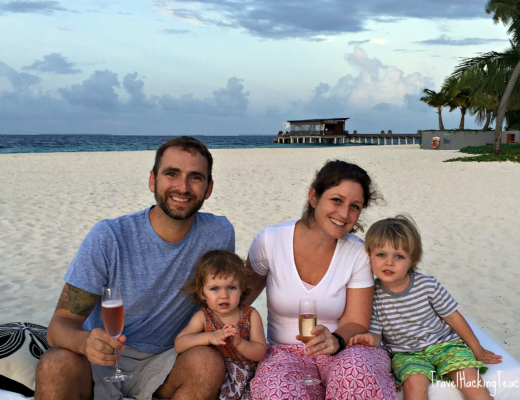 I’m Jonathan and my wife, Kelly, and I are Travel Hacking Teachers (THT). We are certified teachers from the United States of American (US) currently living and working, as teachers, in India with our two children, G (aged 5) and C (aged 3). We are starting this blog as a way to compile our experiences for others who are seeking a similar adventure. At its core, THT is a blog for travelers. 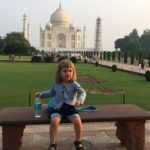 We’ll share our experiences traveling through new regions of the world on a budget and with kids. THT is also a blog for people interested in working as certified international teachers. We will share the tips and resources we used to land our first international teaching positions. 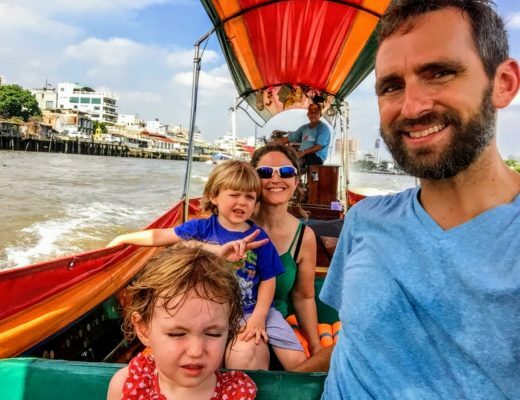 We’ll discuss great destinations for traveling families on and off the beaten path, our experiences at airports, on flights, and hotel bookings. We’ll explain how simple travel hacking techniques have saved us well over $20,000 US Dollars (USD) in travel expenses on flights and hotel stays. Additionally, we will answer your questions about managing your finances while working overseas. Topics will include retirement, investing, and budgeting for the next great trip! Feel free to send us any questions you have along the way and join our mailing list to receive our latest update. That night I did my first “international teaching” web search, and the seeds of adventure were planted. 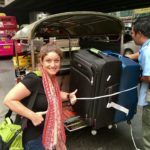 I spent the next 3 years learning all I could about teaching overseas, becoming an expat, and raising kids abroad. I joined forums, talked with people who had taught overseas, and Skyped with current international educators. Almost everyone I spoke with said working and raising their kids overseas was one of the best decisions they ever made. 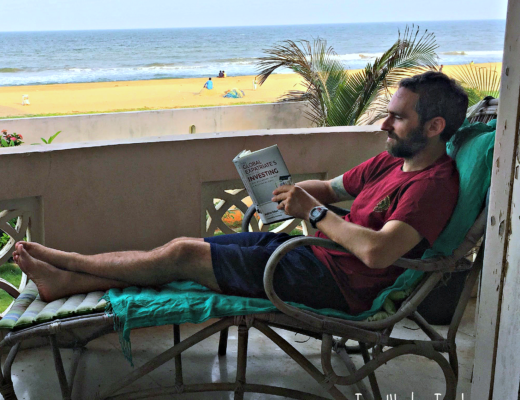 Kelly and I began making a pros and cons list about the expat lifestyle. Soon enough, the pros list got longer and longer, and we knew moving overseas was the right choice for us. In the fall of 2014, we began applying for international teaching positions. We sent our resumes to 15 different international schools. Our plan was to attend the Boston international teacher job fair in January 2015. However, in December 2014, we got an email from an American International School in India. After a few rounds of interviews we signed our first international school contracts on December 14, 2014. We were moving to India! Like most new endeavors, at times, it seemed overwhelming. Together, THT will answer all of your questions and show you the steps we took to get overseas! 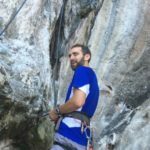 Jonathan – I started traveling in college when I studied abroad in Athens, Greece. A few years after I graduated, I decided to hike the entire Appalachian Trail (AT) (2,175 miles/3,500 km). 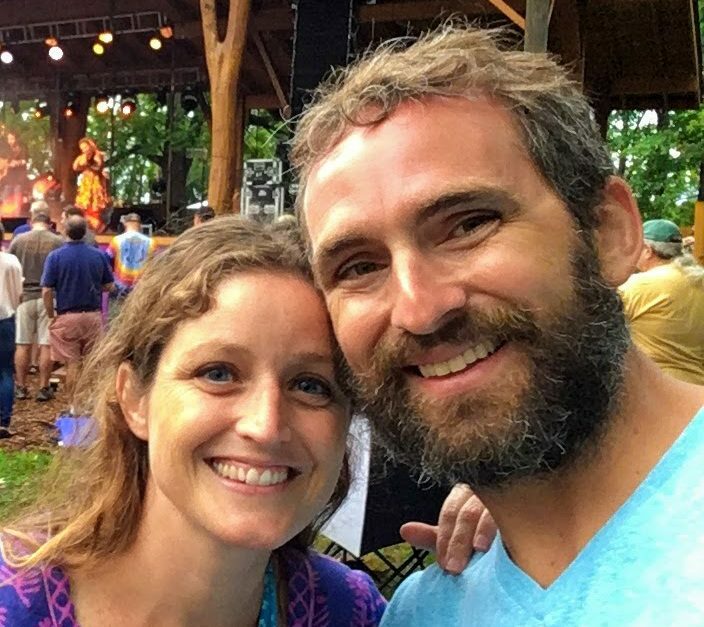 Kelly and I met while hiking on the AT. We finished the trail together and ended up working in a hostel and as ski instructors in Taos, New Mexico. After the ski season, we drove the Al-Can up to Alaska to work on an organic farm. In addition to farming, I worked as a baker, wildland firefighter, and as a naturalist at a large animal research station, which eventually led me to teaching! I’m thankful to be were I am today. I enjoy talking about international teaching, travel, managing our investments, how we got started, what we’re doing now, and what’s up next! Kelly- I had the travel bug in college, which drove me to study Tropical Ecology in Costa Rica, Geothermal Energy practices in Iceland, Forestry & Wildlife conservation in the Black Forest of Germany, and Land Use Planning in Poland. After college, I joined Peace Corps/El Salvador as an Agroforestry Technician and Environmental Educator. I love being active in nature and teaching kids (especially outdoors!). I was an Outdoor Educator/Adventure Leader before becoming a classroom teacher. I look forward to sharing my experiences with others and learning from those of similar interests. G – (Born in 2012) G is an easy going kid and enthusiastic about any adventure, plus he loves to travel! We like to think his love for adventure started while he sat in quiet contemplation during our dusky, Alaskan cross country ski trips, bundled tightly from head to toe that first year of his life. Since we don’t have a television in our house, he thinks that watching endless movies on airplanes is the best thing ever. When he’s not mid-flight, he enjoys riding his bike, drawing, building with legos, and playing with his sister. C – (Born in 2014) C is our fearless adventurer. Her first camping trip was when she was 7 days old, her first Alaskan halibut fishing debut was at 4 weeks old. She spent more of her first few months of life in a tent than in a crib! Her first passport stamp was at 15 months old. She knows more words in Tamil and can eat dahl the traditional way (with her hands) better than anyone else in our family. When she isn’t busy dressing up in bangles and a bindhi, she is trying to out-do her brother in everything. Are you interested in moving your family abroad? 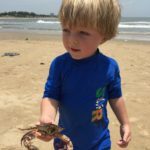 Want to learn about traveling with kids? Thinking about becoming an international school teacher? Got questions? Please join our mailing list. We would love to hear from you.